We like to think of ourselves as problem solvers and solutions experts. Come work with our innovative team to solve our clients complex challenges in a collaborative environment. As a HubSpot Platinum Partner, a 2019 HubSpot Featured Partner and a Gold Star StoryBrand Agency, it's been our amazing clients and great team of people that have helped get us there! We believe in people and enabling those people on our team to be their best both personally and professionally that leads to success! We are always actively looking for the best talent to join our growing team. Since our team is 100% remote, all the positions are available in your current location. Here are the types of people we seek out to me on our team. Highly organized! Detail oriented and is bothered when things fall through the cracks - your agenda/timeline skills are organized to a "T"
A leader, through and through. You are very comfortable pitching and defending your work to strangers and longtime acquaintances. Constantly recommend adjustments to our process to improve flow, production, client results, and client satisfaction. 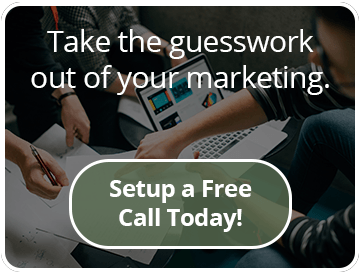 Lone Fir Creative works with marketing leaders, who are overwhelmed and struggle to convert qualified leads for their sales teams in order to grow their business. We help them clarify their story, build their strategy, and hit their goals through ongoing marketing and website design & development services. Specifically, we help companies generate leads through their online presence, nurture them into opportunities, and close them into customers. We create websites and marketing plans for our clients, and we help them implement their lead generation strategies ongoing over time. Make sure to include a brief description and explanation on why you’d be a good fit at Lone Fir Creative!